Sneak away for Valentine's Day, to The Bedford Hotel - a romantic and historic place in which to escape the world for a bit. Award-winning dining, impeccable service, and a choice of romantic rooms in which to rest the night. 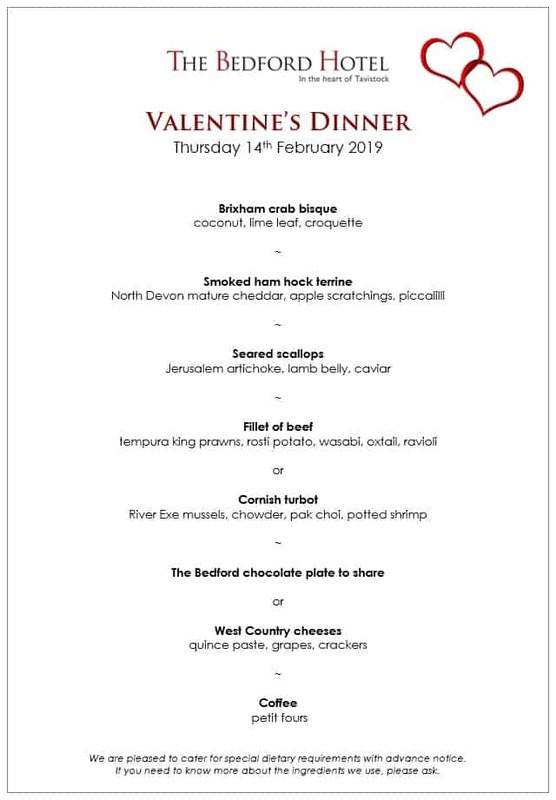 Come along for our superb Valentine's Dinner - or make a break of it with a night away. Wine and dine the one you love, with five superb courses prepared by award-winning Head Chef Raoul Ketelaars and his talented team, served in the candlelit surroundings of the elegant Woburn Restaurant. Stay the night in one of our cosy, individually styled rooms, or upgrade to a glamorous Four Poster. Surprise and delight your loved one with a bottle of chilled Champagne, fresh flowers or gorgeous chocolates in your room on arrival - just let us know your wishes when you book. Call 01822 613221 to book your Valentine’s Dinner or romantic break. We also have a delicious Valentine’s Lunch available. 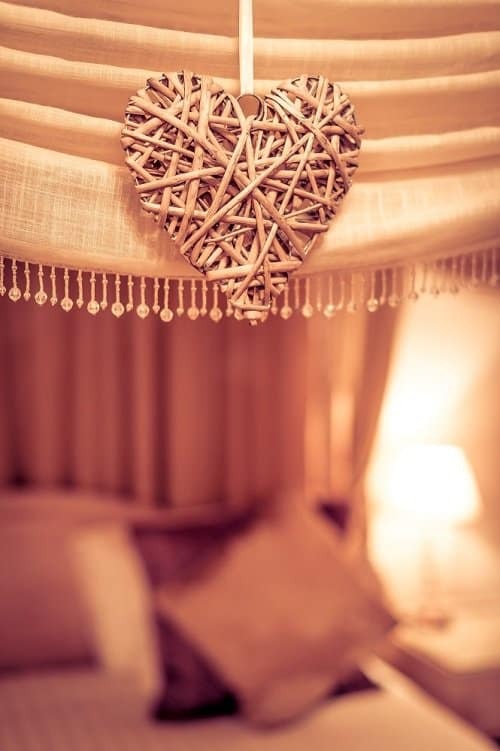 For Valentine’s stays, we will request a non-refundable deposit of £50 per room at the time of booking, payable by credit card or debit card, with the balance payable on departure. For Valentine’s Dinner only bookings, we will request a non-refundable deposit of £10 per person.